"Hardback supplement, contains background on the 4 Canadian Mechanized Brigade Group, French Armee de terre, the Netherlands 1. Korps, and the Australian and New Zealand ANZAC Brigade. 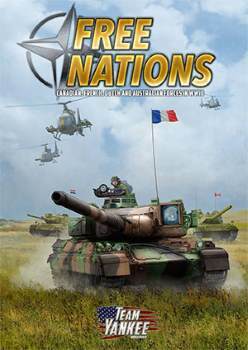 Three scenarios featuring the forces of Free Nations. A detailed painting guide to help you prepare your army"